The Aberdeen University study revealed 92% of UK fishermen plan to vote Leave on June 23. An overwhelming 92% of British fisherman will vote for Brexit, a new survey has revealed. The poll, conducted by researchers at the University of Aberdeen, also revealed a majority of fishermen did not think leaving the European Union would detrimentally affect their trade. Over three in four believe leaving the EU and its common fisheries policy would enable them to catch and land more fish. Around the same number think Brexit would have no impact on the trade of fish between the UK and other European countries. 93% of fishermen believe leaving the EU would boost the industry's fortunes, the survey also revealed. The researchers behind the poll admitted Scottish fishermen, despite having the largest fleet in the UK, were "slightly over-represented" in the survey, accounting for 68.4% of respondents. 114 responses have so far been gathered, 88.6% of which came from people who currently skipper and/or own a boat longer than 10 metres. According to the most recent government figures, there are 1242 registered vessels of over 10 metres in length. Politics lecturer Dr Craig McAngus, who led the study, said: "Fishing is an industry that will be one of the most directly affected by the decision when Britain goes to the polls. "We know from anecdotal evidence that fishermen are likely to be Eurosceptic but the fact that over 90% of Fishermen intend to vote to leave the EU is surprising and shows how strong feelings are amongst skippers and boat owners. "Fishermen view the EU very negatively and this further marks them out from the general UK public who are far more split over positive and negative feelings towards the EU." 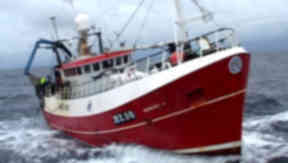 Dr McAngus added: "Fishermen are relaxed about the impact that leaving the EU would have on the trade of fish. "Around 75% believe that leaving the EU would have no detrimental effect on the trade of fish. Indeed, more believe it would improve trade than would hinder it." The Remain campaign in Scotland said that while the EU was not perfect, the gains for the fishing industry in staying in outweighed the costs. A spokesperson for Scotland Stronger In Europe said: "Being part of the single European market is vital for the fishing industry and jobs throughout Scotland. "The way to have a real say over fisheries is to stay in Europe. By walking away from the negotiating table, Leave would remove the voice of all those whose high-quality goods are sold in the EU market, leaving the industry subject to trade barriers and at the mercy of decisions taken by others. "No-one is arguing that the EU is perfect, but the gains outweigh the costs for the fishing industry and rural economy, and there have been significant reforms to the common fisheries policy pushed by the Scottish and UK governments to give our fishermen the good deal they deserve." "Scotland will receive £85.5m from the EU fisheries fund until 2020, helping our fishing communities, investing in Scottish ports and refurbishing fishing vessels. Leaving the EU would put this at risk, and would not help Scottish fishing." Scottish Vote Leave said the Aberdeen University report showed the EU had been "a burden" on the fishing industry. Leave spokesperson and Conservative MSP Ross Thomson said: "Today's report clearly demonstrates that our fisherman can see the great opportunities available if we leave. "The EU has been a burden on Scottish fishing especially in the North East. Thousands of jobs have been lost, and the industry has been left reeling from the effects of EU over regulation. "If we vote Leave then powers over fishing currently held by Brussels will be returned to the Scottish Parliament where MSPs like me can work to create a fishing policy that meets their local needs - a fishing policy where fishermen can hold us to account for the decisions we take. "If we vote Leave fishing waters would stretch for 200 miles rather than just the 12 miles currently, allowing for huge new potential catches for our fleet." Thomson added: "It couldn't be clearer that fisherman are united in wanting to leave the EU. We could land fish in our own waters, generate thousands of new jobs across Scotland and deliver an accountable fishing policy decided by Scottish MSPs rather than unelected officials in Brussels." The referendum on EU membership will be held on June 23. Tonight will see an ITV EU Referendum Debate take place featuring First Minister Nicola Sturgeon and pro-Leave MP Boris Johnson along with four other panellists. 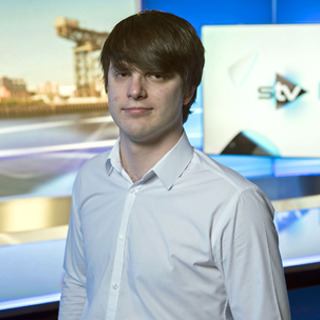 The debate will be broadcast live on STV at 8pm and streamed live on the STV Player.